Let’s talk digital—specifically, the main digital marketing channels and how they can be collectively leveraged in a campaign to drive patient engagement with a health system’s telehealth service. But first, what do we mean when we talk about digital marketing for telehealth? Digital marketing is an umbrella term—it refers to all the different types of technology available today to support marketing efforts. Digital marketing tactics are immediately attractive simply because of the world we’re living in. There’s not much that patients can’t do on their mobile phones—including addressing a medical issue through a telehealth visit. It’s common sense to market a technology service like telehealth via the web and social media, but beyond that, a digital marketing campaign also works for telehealth because it can serve up some really powerful results at a low cost. This is crucial in the early days of a telehealth service when utilization is still building. A website is the anchor of a digital marketing campaign. It’s the best way to share information about your telehealth service with your patients—the consumers you built the service to help. There are a range of options, from building a single, well-constructed telehealth page on an existing health system website to creating a standalone microsite dedicated solely to the service. Either way, leveraging a health system’s website is low cost (compared to paid advertising), and it gives you control over content and messaging because you own it. Beyond dedicated pages or websites, you can also strategically place messaging about your telehealth service on key pages of the website. Your analytics program (e.g., Google Analytics) will help you identify the high-traffic “go to” pages patients visit—not necessarily the home page, but perhaps an urgent care page, “find a doctor” page, or specialty page—you can place information about telehealth there, increasingly the service’s visibility to your patient population. Blogs are an all-around win. 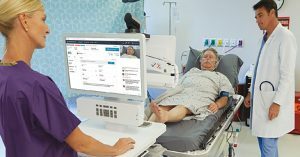 Not only are they low cost, they’re also easy to set up, easy to use, and are a great way to show your patients how telehealth will help them. Blogs help you increase the amount of content you have online–in fact, feel free to re-purpose existing content on your blog so more patients see it. To create a high-value blog, post about issues your patient population cares about, whether that’s access to care, chronic disease management, specialty services, or something else. Blogging is a great way to educate your patients about telehealth and the ways it benefits them, and then you can link blog readers back to the website to access the telehealth service. Because the purpose of a blog is to engage patients on the issues that are important to them, follow the 80/20 rule. At least 80% of the content must speak directly to patient interests in a non-promotional way. Don’t make a blog an advertisement for your telehealth service—instead write a post about how telehealth saves patients time and money while effectively treating their health conditions. One final note on blogging—to build an audience you have to commit to a regular posting schedule. Start with one post a month and increase the frequency as resources permit. Like most of the tools in the digital toolbox, email is low cost and user-friendly. With email you can reach a wide audience easily through one of the many intuitive email tools designed for mass outreach. Email is the best vehicle to tell your patients about the great content available to them through your owned assets, like your website and your blog. Through email, you can open the lines of communication with your patient population, designing campaigns that communicate how your telehealth service can give them greater access to care. Email campaigns are most effective if you build out a great contact list, which you will do as you encourage patients to enroll in telehealth and learn more about the service. Email lets you talk to patients about telehealth, even if they haven’t yet had a visit. Another way to effectively leverage email marketing is to include a strong call-to-action with every message. 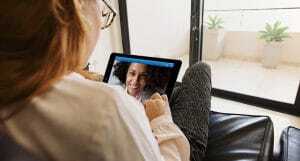 For example, if you have a blog post on the convenience of telehealth, your CTA could say “Learn how telehealth can help you get back the time lost in the waiting room” and link patients over to an enrollment page with information about the clinical services you offer through telehealth. When people talk about search engine optimization, aka SEO, they’re typically referring to strategic placement of keywords to guide people to your website. For a digital marketing campaign to promote telehealth, good optimized content (from your blog, webpages, etc.) will ensure your patients find your telehealth service when searching the web for care solutions. Seeing the need for 24/7 acute care solutions, many health systems launch telehealth for urgent care first, so a good SEO strategy would bring up your telehealth service when a patient searches for urgent care after hours. But SEO today goes far beyond keywords. SEO is really about building credibility with Google. You can start by reviewing Google’s best practices for building healthy website architecture, along with creating high-quality and regularly updated content that your patients read and share. Paid is the glitzy side of digital marketing—think social media ads, paid search ads, display ads/banner ads, and video. Paid ads are more high profile (e.g., Facebook), but they are also high cost, not only in terms of dollars but time. Effective paid ads are the result of extensive testing to find out which patients to target and what will grab their attention. 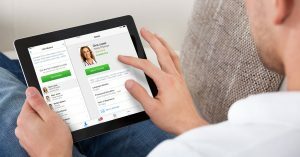 Paid is a long-term strategy with high dividends, but the ramp-up is slow and it takes work to find the “special sauce.” The best way for a health system to reach patients through paid digital ads is to partner with a company that specializes in this channel and is an expert in telehealth. Paid is always challenging, but a relatively new service like telehealth is particularly complex and really requires an expert. Learn more about American Well’s paid digital marketing services. Saving the best for last, the final component of an integrated digital marketing campaign is social media. Why is social media so great? It’s free and it’s fun. Healthcare is serious business—hospitals face a big challenge in overcoming the perception of clinical coldness that patients associate with care. That’s all the more reason to get creative with social, engaging your patient population and reminding them that the healthcare “machine” is actually powered by humans. There’s a lot of opportunity to get creative with telehealth promotion—For Valentine’s Day, our in-house direct-to-consumer marketing team created eCards for consumers who use our Amwell app to share with friends and family. Not only are they creative and fun, they promote the telehealth app. A final note on social media—like blogging, to gain followers and get “likes” and shares, you need to commit to posting regularly on topics of interest to your followers. Social media is a way to build relationships with your patients, and like any other relationship, one nurtured through social needs regular attention. There are a lot of options when it comes to digital marketing, which can make the idea of launching a digital marketing campaign daunting, especially when a health system is devoting so many resources to building the telehealth service itself (learning the platform, training the doctors, selecting the best services to offer). But the two go hand in hand—without a digital marketing campaign to put telehealth in front of patients, telehealth won’t be utilized. The good news is health systems are not in it alone. When a health system partners with a consumer-focused telehealth company like American Well, that company comes with a team of expert client marketers ready to support you across all the digital channels that successfully share your telehealth service with your patients. It’s ok to start slow, and don’t be afraid to test new ideas or ways of doing things.